* Football great O. J. Simpson a suspect ? 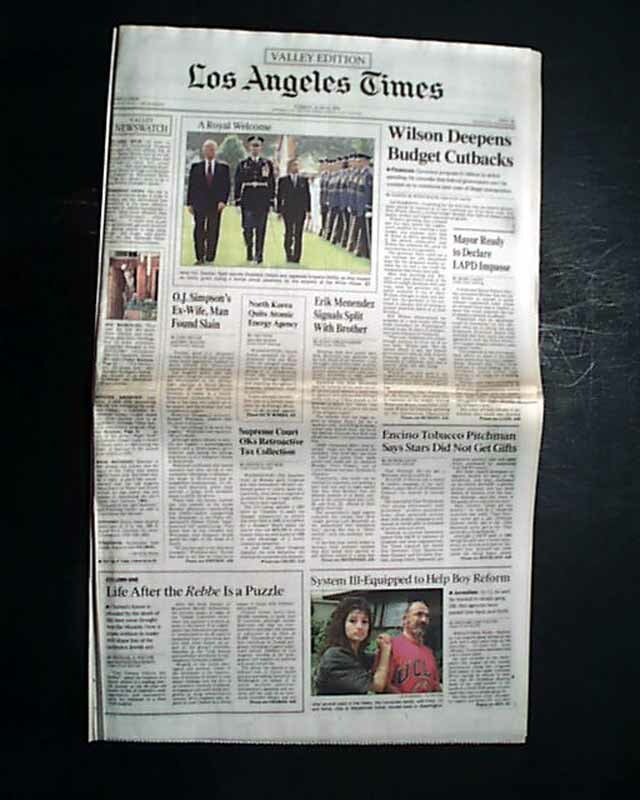 The significance of this issue is the relatively inconspicuous report on the front page with just a one column heading: "O.J. 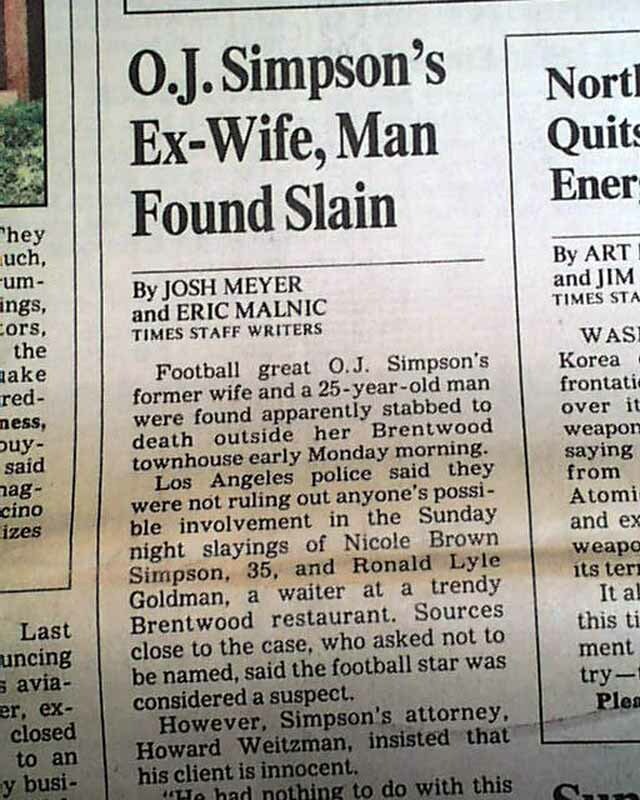 Simpson's Ex-Wife, Man Found Slain", in a newspaper from the city where the murders happened. Rare as such. 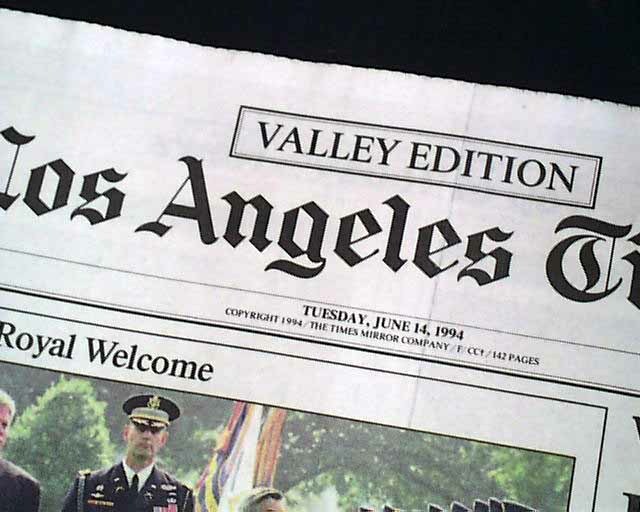 Some would dub the coming media frenzy the "trial of the century" with headlines that would command much attention in newspapers across the country for over a year. 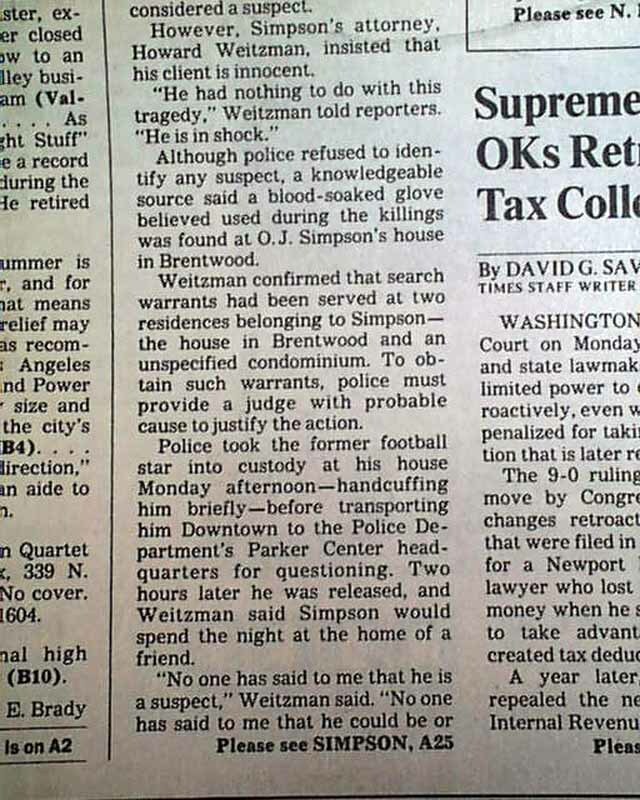 Near the beginning is: "...Simpson's attorney, Howard Weitzman, insisted that his client is innocent. He had nothing to do with this tragedy, Weitzman told reporters. 'He is in shock.' ...". 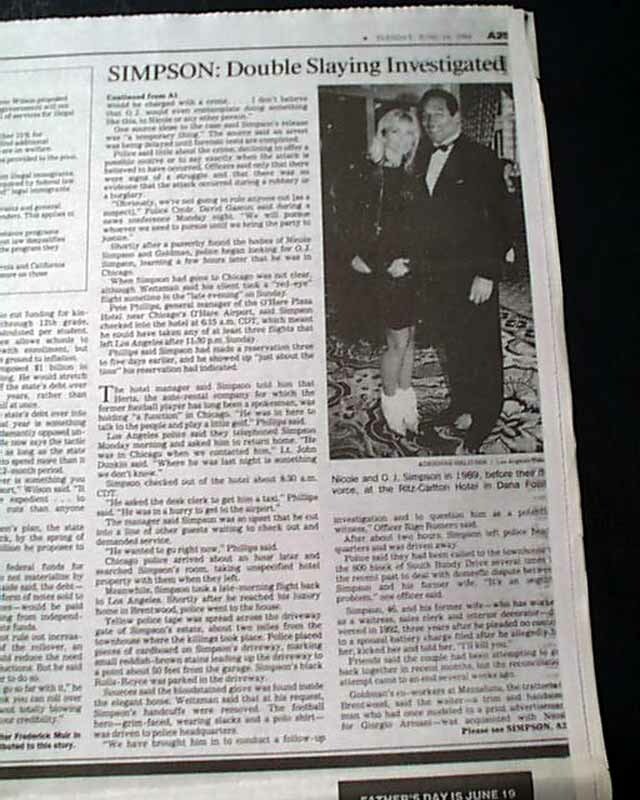 The article carries over to page 25 which includes a a photo of O.J. and Nicole prior to their divorce (bit close-trimmed at right edge shaving the last letter or 2 but not causing loss of readability). The top of the Sports section has a small boxed report headed: "O.J. 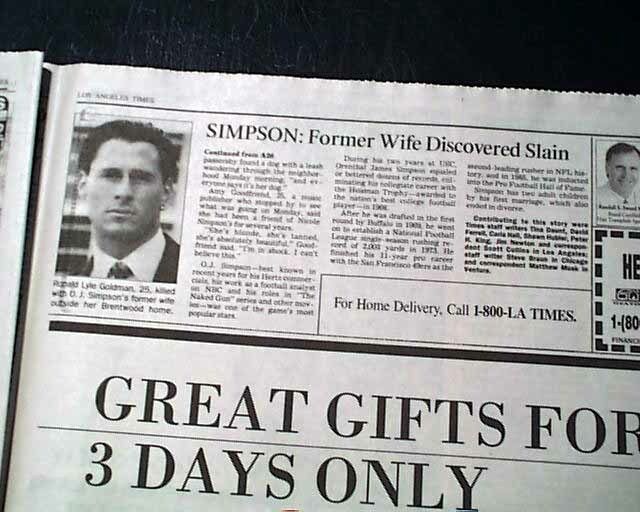 Simpson's Ex-Wife Killed" with a photo of him (see). The complete sections A, B & C with pages 1-56 of 142. Nice condition.